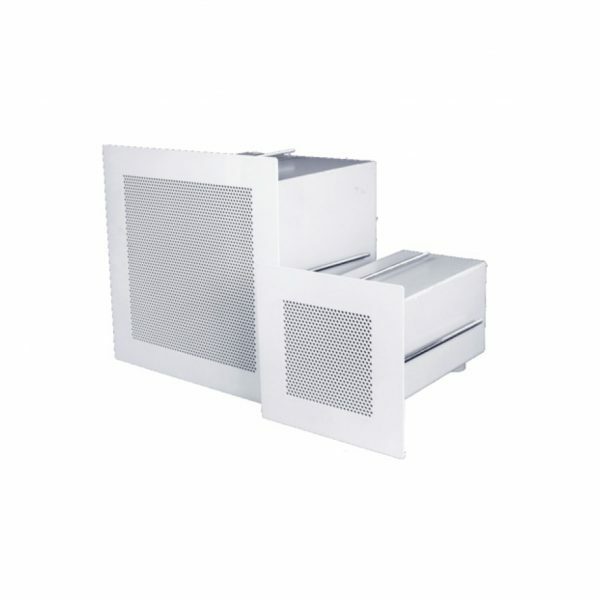 The Cell Grille is suitable for either supply or, exhaust air application. The perforated grille face is made from heavy gauge galvanised steel sheet. The grille is secured to the wall with steel mounting frame. Opposed blade damper can be provided to the back of each grille if required, which is adjusted from the grille face. In addition, circular spigot connection can be provided if requested. The grille section and the rear mounting frame is powder coated in matt white to RAL 9010 as standard supply. Other RAL colour code can be provided if requested. This type of grille construction and installation detail is designed to meet latest Home Office requirements. For applications such as prison cells where it is necessary to have a heavy and robust construction and a high level of tamper resistance. The normal application for this product is air transfer or return air.